Happy new year to all readers of these reports. This was the first match of 2019 and was held at Stemps and was a pole only match. The temperature had dropped in the previous week and there had been a couple of frosts overnight. Overnight on Saturday the temperature had dropped to 2 degrees so conditions were expected to be hard with the expectation that a few fish would be caught as there had not been a frost. This turned out to be the case with anglers fishing pegs holding resident carp, catching but other anglers struggling. 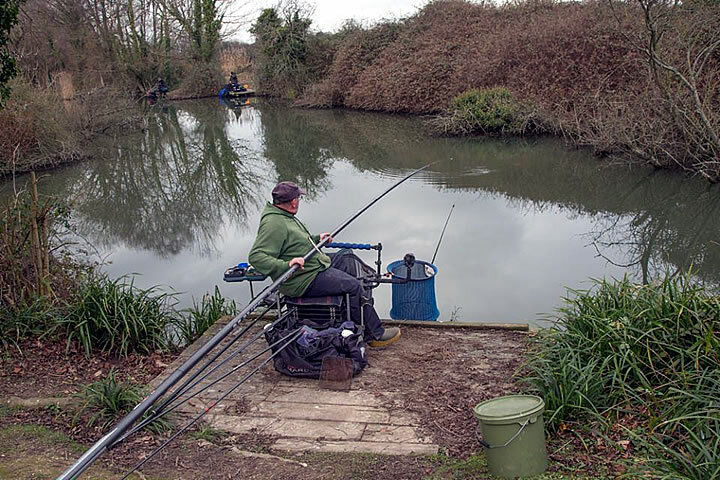 It was good to see John Shepherd out – he last fished in the summer. Steve Simmonds continues to provide entertainment this time catching a moorhen which was released without harm. 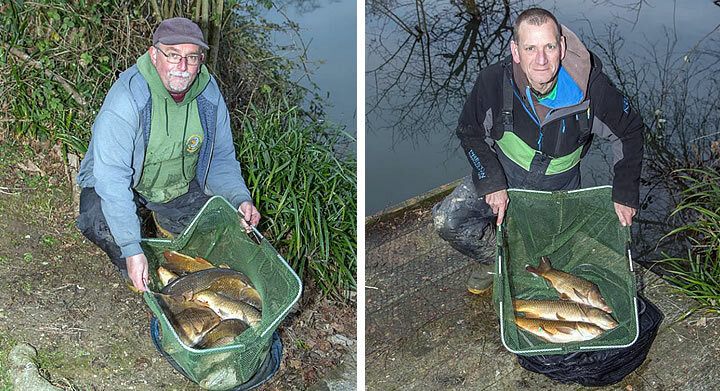 Fishing Peg 1 was Vince Herringshaw who caught 11 carp weighing 40-8-0 to easily win the match. These were caught using maggot or sweetcorn and Vince lost as many as he landed. In second place was Keith Hughes, fishing Peg 14 and was fishing 17 metres over to the island. He caught 3 carp weighing 11-11-0. Mick Greenway was fishing Peg 2 and landed 1 carp weighing 4-6-0 on maggot. Along with Keith and Vince, he lost several fish as he could only get a bite close to the island and the fish quickly got into the snags.